Fenerbahce are set to face competition in the race to sign Chelsea winger Victor Moses. Turkish-Football can confirm that the Yellow Canaries have been locked in negotiations with the Blues over the past week. Fenerbahce are keen to make changes to their squad after a nightmare 2018/19 season. The Istanbul giants currently sit 15th in the league with just 18 points. 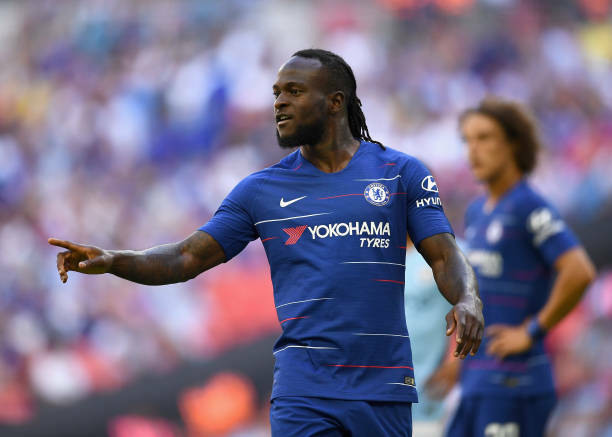 However, sources close to Fenerbahce have also revealed to Turkish Football that Moses is undecided whether he wants to leave the Premier League. Per the source, Fulham and Crystal Palace have also held talks with Chelsea over Victor Moses. The Nigeria international hasn’t featured for Chelsea this season after falling out of favour with manager Maurizio Sarri. Moses was a first-team regular under the Blues previous manager Antonio Conte. Moses still has over two years remaining on his contract with Chelsea but is expected to leave over the January transfer window. Chelsea are back in action tomorrow evening when they take on Tottenham in the League Cup semi-final. Fenerbahce meanwhile will be hoping to return to winning ways when they host Yeni Malatyaspor in the Turkish Super Lig on Monday evening.